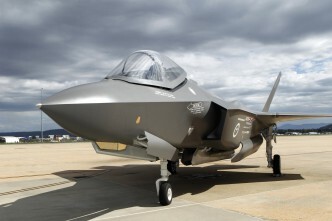 While the Australian Government has already made its decision to go ahead with procuring a total of 72 F-35 Joint Strike Fighters, there’s still cause to watch the progress of the development program. Australia will most likely take delivery of the bulk of its aircraft about five years from now, which given the lead times for major components, means we’ll start paying for them around 2017 or so. 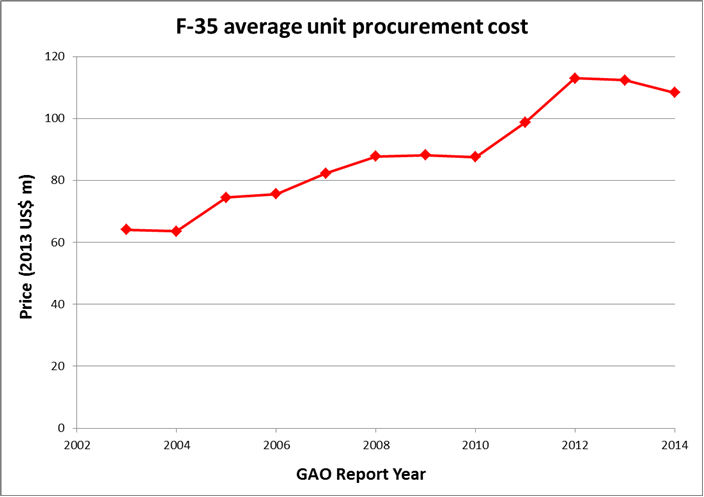 But at the moment we don’t know what the final bill will be, so ASPI will continue to monitor the F-35 cost data. I’ve reported on F-35 costs and schedules a few times before on The Strategist—most recently after the release of this year’s USAF budget papers. That contained some good news, pointing towards stability in program costs over the past few years. But the USAF is far from being a dispassionate observer of the F-35 program, as it’s in desperate need of new aircraft to recapitalise its tactical fleet. So it’s worth looking at the data provided by the Government Accountability Office (GAO) as well. 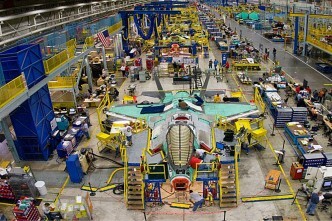 The Pentagon and the GAO have often seen the F-35 program through quite different lenses. The GAO was especially critical of the management and performance of the program in the period 2002–2010, while the Pentagon tended to play down the problems. The verdict of history is pretty unequivocal on that one: the GAO was right, and after the program breached a Congressional threshold for cost overruns in 2010 it was subjected to a major re-baselining. Since then, things have been running relatively well. The program has had some setbacks—including the grounding of the fleet due to an engine fire earlier this year—but seems to be tracking more reliably than was previously the case. We can be more confident of that than was formerly the case because, significantly, the Pentagon and GAO figures are now telling the same story. Let’s start with the program cost—the total amount required for all of the R&D as well as the production of the aircraft and the ancillary equipment required to operate it. To an extent that’s not Australia’s problem, as we won’t pay any extra for R&D because of our membership of the F-35 international program. We’ll only pay for the aircraft and related equipment, not for further development work. The US shoulders that alone, which is why the program cost gets the attention of Congress. In the worst case, that could cause American procurement numbers to be cut, production rates to be slowed and unit prices to go up for all customers. Figure 1 shows how the F-35 is tracking compared to the disastrously expensive F-22 and the successful F/A-18 E/F Super Hornet programs. 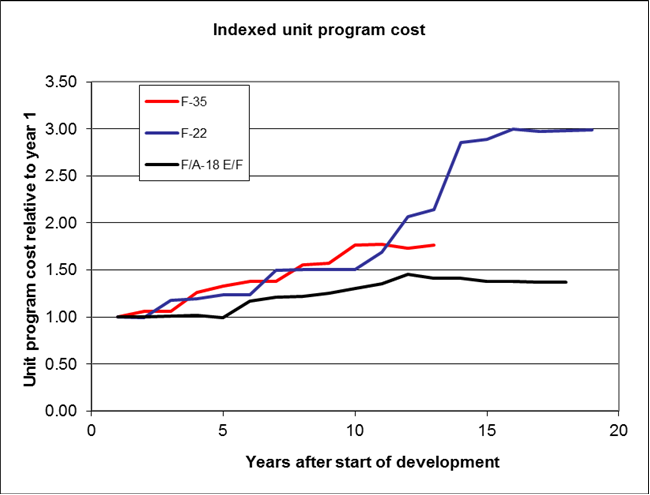 The graph shows indexed costs, relative to the initial program estimates. 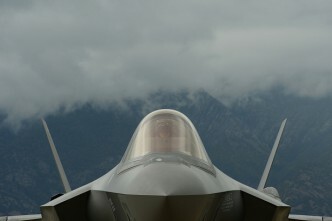 As F-22 R&D costs spiralled upwards, numbers were cut successively from over 700 to 188 when production ceased—and the gross cost per aircraft ended up at over US$400 million (today’s prices) as a result. After tracking the same way for a while, the F-35 is showing signs of levelling out. We have to be a little careful, because development programs often look stable for a while before jumping upwards again, but the recent trends are good. Figure 1. Indexed program costs for three American tactical aircraft programs. Source: Pentagon Selected Acquisition Reports. Figure 2 shows the average procurement cost per aircraft, which is the price without the R&D component. The figures are averaged over all three types of the F-35, and Australia is buying the least expensive, so the graph over-prices the Australian purchase. The trend since the 2010 baseline was established is downwards, once we allow for a time lag in the GAO data because they work on Pentagon data from the previous reporting period. That’s a first for the F-35 program, but is a feature also visible in the Super Hornet data once that program reached maturity. The GAO observes that ‘the production line continues to show efficiencies and quality metrics show positive trends’, consistent with the Pentagon reporting US$11.5 billion of savings (about 3% of the total cost) due to more efficient processes. 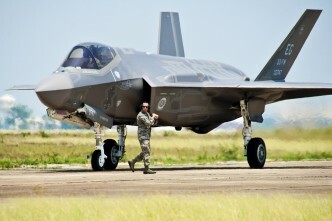 The F-35 program … plans to have 530 aircraft, more than 20% of its total procurement quantity, under contract at a cost of approximately $57.8 billion before developmental testing is completed in 2017. Until all of the testing is complete, we can’t be completely sure of the future trajectory of the F-35 program metrics, so we’ll be keeping an eye on them. But for now the report card would read ‘has made significant progress—must stick with it’. Andrew Davies is senior analyst for defence capability and director of research at ASPI. Graphs courtesy of Andrew Davies.